Market volatility is back. Forex markets have seen whipsaws as the dollar index tries to price in a weakening US economy and a FED which is raising rates. 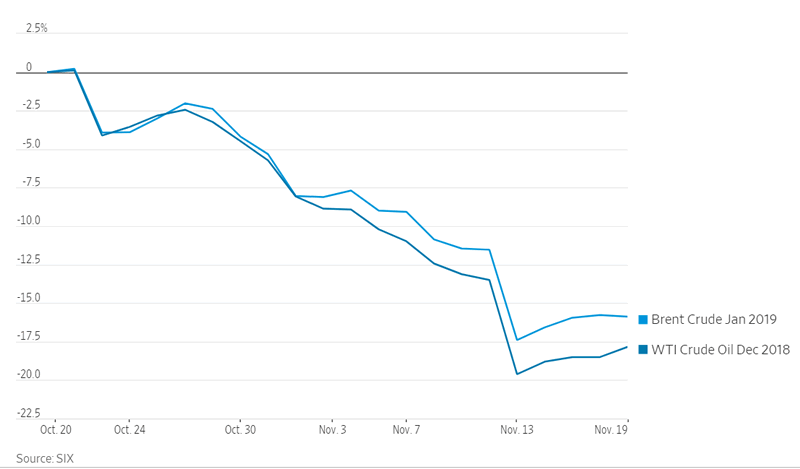 Stocks have suffered a series of pullbacks this fall that have chipped away at much of their 2018 gains. Downbeat forecasts from former market leaders such as Apple Inc. and Facebook Inc. have raised questions over whether the past year’s gains can be justified. Adding to those worries, investors are already expecting a broader slowdown in corporate earnings growth as rising rates and a stronger dollar take a greater toll on profits. The steep decline in US stocks has been led by the bell weather, APPL. 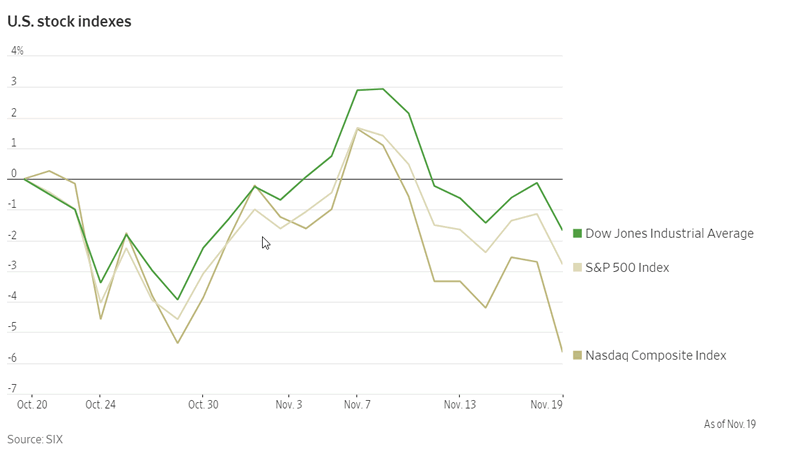 The stock held up during October’s stock-market rout, losing only 3%, while other highflying stocks like Amazon.com Inc. and Netflix Inc. tumbled by double digits. Apple appeared to be a safety play during that falloff, which erased roughly $5.5 trillion in global stock-market value. But a tepid revenue forecast earlier this month coupled with softening global growth, trade tensions, rising interest rates and peaking corporate profits have sent Apple shares tumbling. Other technology stocks were also slumping Monday, with Amazon, Google parent Alphabet Inc., Microsoft Corp. , Facebook Inc. and Netflix all falling at least 3.3%. Alphabet joined the rest of the so-called FANG stocks—Facebook, Amazon and Netflix—in a bear market as the tech-heavy Nasdaq Composite fell 3%. Volatility is staying above 20 mark for over 4 weeks. This is unseen territory for investors for the last 12 months. Oil prices edged higher Monday, reversing earlier losses as traders weighed whether the Organization of the Petroleum Exporting Countries and Russia would cut production at their next meeting. Light, sweet crude for December delivery rose 0.5% to $56.76 a barrel on the New York Mercantile Exchange, after trading as low as $55.08 earlier in the trading day. Brent, the global benchmark, settled up 3 cents at $66.79 a barrel. The hourly shows a smallish retracement to 1.1425. Expect good demand here a bounce. 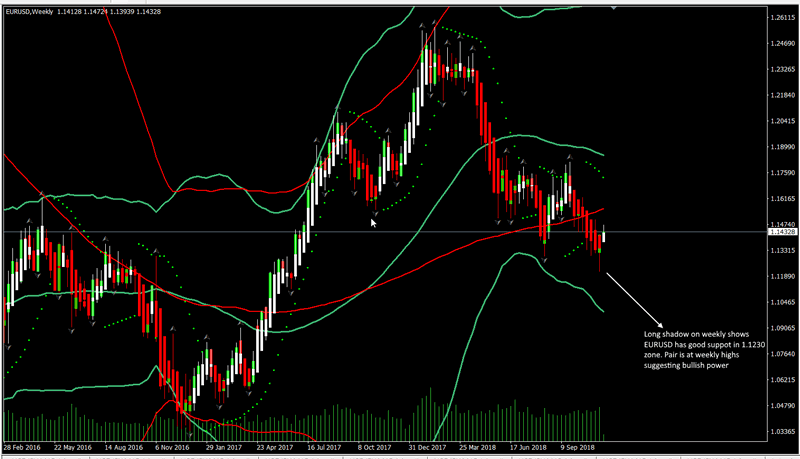 A failure here will lead to deeper retracements. The Dollar Index is showing signs of bearish pressure buildup. The reversal from above 97 is a sign of things to come. The next major support on the downside is 94. A move above 97.5 will build a case for 98.2. The 10 year yield is now under 3.1%. Weakening data is now casting a shadow on FED ability to keep raising rates. A gauge of U.S. home-builder confidence fell sharply in November, dragged down by heightened affordability concerns in the housing market. The National Association of Home Builders on Monday said its housing-market index dropped by eight points to a reading of 60 in November, well below economists’ expectations and the lowest level in more than two years. The index measures builder confidence in the market for new single-family homes. Figures over 50 mean more builders see conditions as good rather than bad, which means that, despite the November drop, builder sentiment is still in positive terrain. 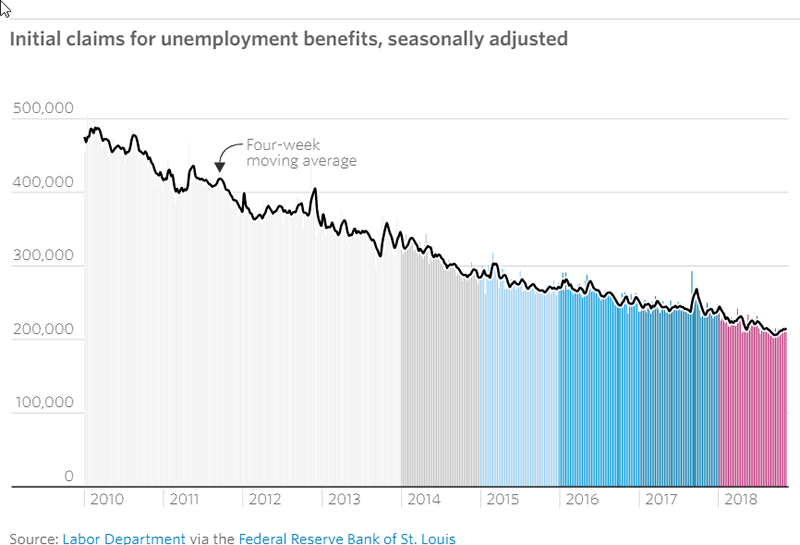 Initial jobless claims, a proxy for layoffs across the U.S., increased by 2,000 to a seasonally adjusted 216,000 in the week ended Nov. 10, the Labor Department said Thursday. Economists surveyed by The Wall Street Journal expected 215,000 new claims last week. Claims for the previous week were unrevised at 214,000. The four-week moving average of claims, a steadier measure, rose last week by 1,500 to 215,250. 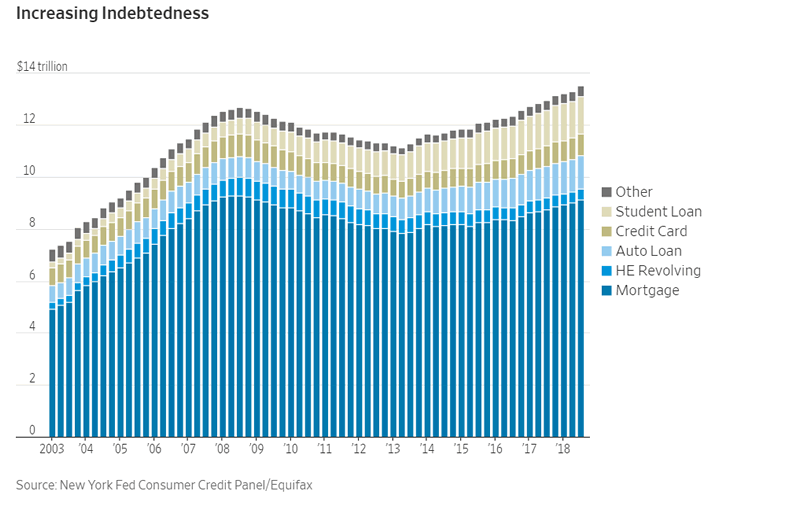 Household indebtedness continued to climb in the third quarter, with balances continuing to rise for almost all types of borrowing, the Federal Reserve Bank of New York reported Friday. In the third quarter of this year, total household debt increased for the 17th consecutive quarter to $13.51 trillion, more than 20% above the trough it hit in the second quarter of 2013.